Pinch yourself - you're not dreaming. 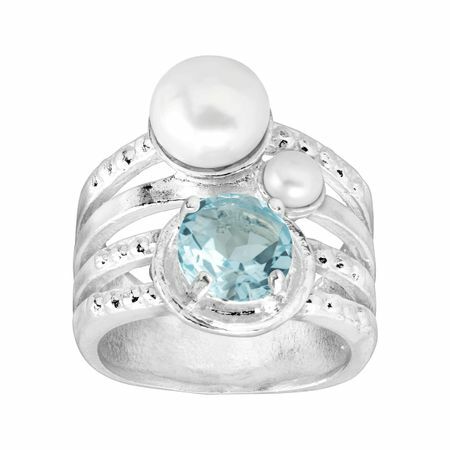 This multi-band ring gives the illusion of a stacked appearance while boasting a sparkling blue topaz and two freshwater pearls. Ring face measures 7/8 inches in width. Piece comes with a “.925” sterling silver stamp as a symbol of guaranteed product quality.